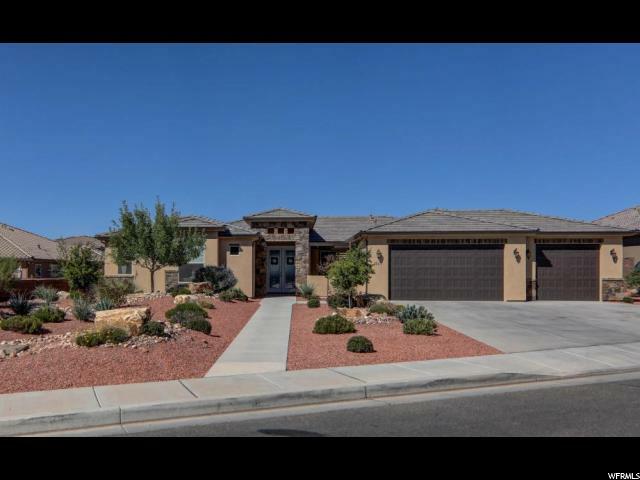 All SYCAMORE homes currently listed for sale in St. George as of 04/18/2019 are shown below. You can change the search criteria at any time by pressing the 'Change Search' button below. "Gorgeous custom home in Little Valley all on one level! Beautiful wood floors, white custom cabinets, stainless steel appliances, wall oven, gas cook top, cozy gas fireplace, & Casita with two entrances. You'll love the wide open .38 acre yard with unobstructed views of Pine Valley Mountain, underground trampoline, bike path, firepit, & extra large covered patio. There is also room for a pool. Easy to take care for xeriscape & artificial turf yard. Window treatments & W/D are EXCLUDED."